Ger Walsh – Manager of Waterford City Local Employment Service (LES) – has welcomed the finding of research commissioned by the DEASP that the not for-profit Local Employment Service (LES) nationally is successfully achieving full-time employment placement for 28.8% of those referred to them annually. In addition, whilst working with those with lower qualification levels and most in need of employment supports, the LES has progressed the majority of its remaining caseload to part-time jobs and other pathways to work such as further training and employment schemes. The service also received significant endorsement from the employers who engage with it, with 89% of respondents indicating that their engagement with an LES had helped them to find suitable candidates for available jobs, while 83% of employers stated that the LES provided an efficient recruitment service for their organisation. “The LES approach is serving jobseekers and the state well. At this time of welcome falls in unemployment, there are still many who need significant support to achieve job-readiness and access the labour market”, said Ger. “We work intensively with people in their local community, helping them to address any barriers to employment including skills needs, mental health issues, self-esteem and personal discipline”. “Placing almost 30% of referrals into full-time employment is a significant achievement but it must also be recognised that for many of the today’s jobseekers, progression to a part-time job, internship, employment scheme or further training are valid pathways to full-time employment and career development”. At present, the Public Employment Service (PES) is delivered either by the Department’s own Intreo service or by private contractors through Jobpath or by community-based, not-for-profit companies operating the Local Employment Service (LES) and Jobs Clubs. 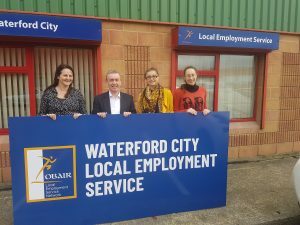 Follow the link below to hear how great the Local Employment Service are doing in Waterford to support Jobseekers find jobs and businesses to find staff. Please like and share on Facebook – Let’s continue to Get Waterford Working!!! Jobseekers are you looking to give yourself the edge over other applicants? What is JobsPlus? It is an incentive from the Department of Social Protection. It is designed to reward employers who offer employment of over 30 hours per week to recruits from the live register. Grants of €7,500 and €10,000 are available. The majority Waterford City Local Employment Service’s clients are eligible for JobsPlus. When employers are approved they will receive an email confirming that they have been approved. The status of all applications can be attained by calling 071 9672535 / 071 9672583. When the Jobseeker is approved they will receive a letter of acceptance in the post. The status of all applications can be attained by calling 071 9672535 / 071 9672583. How much is the incentive? A grant of €7,500 is payable over two years for Jobseekers on the live register over 12 months and €10,000 for Jobseekers on the live register more than 36 months. Jobseekers under 25 years of age and on the live register for at least 4 months in the previous 6 months. Former one parent family customers whose youngest child is 7 years of age or over who transfers to the live register and are now in receipt of Jobseekers allowance transition payment and they have NO qualifying period. Persons with refugee status and in receipt of Jobseekers allowance also have NO qualifying period. A grant of €10,000 is payable to: Jobseekers over 50 years of age who are on the live register and have been at least 12 months unemployed in the previous 18 months. How will the incentive be paid? The incentive will be payable monthly in arrears, over a two year period by Electronic Fund Transfer (EFT), by the Department of Social Protection. Jobseekers to increase your chances of employment follow the link – https://www.welfare.ie/en/Pages/secure/jobsplus-employer.aspx. Waterford City Local Employment Service have almost 5000 followers on Facebook, we provide a free and confidential service to businesses of all sizes and are designed to make the recruitment process easy and hassle-free. If you have any questions call Ger on 051-304951 / 086 142550. Great News! From New Year’s Day, people in receipt of Jobseeker’s Benefit who take on subsidiary seasonal and casual work can earn up to €7,500 a year without impacting their rights to their Benefit. We hear from jobseekers that casual work brings massive complications when they have to sign off and on etc., so it can be difficult to accept short term work. Changes like this will hopefully give more flexibility and encouragement to people who want to work and will also help employers who need casual staff on an Adhoc Basis. We all know that a job is far more than a pay check and hopefully initiatives like this will help to secure more long term opportunities for all. Please see below for recent testimonials from some of the local businesses we have worked with. Ballyogue Stud got in touch with us to help them fill a vacancy for a Yard/Stable Hand. We advertised the position on the 10th of October 2018 which got a great response, John was delighted with the applications he got and by the 23rd of October 2018 he came back to us to say that he had found the perfect candidate for his vacancy. 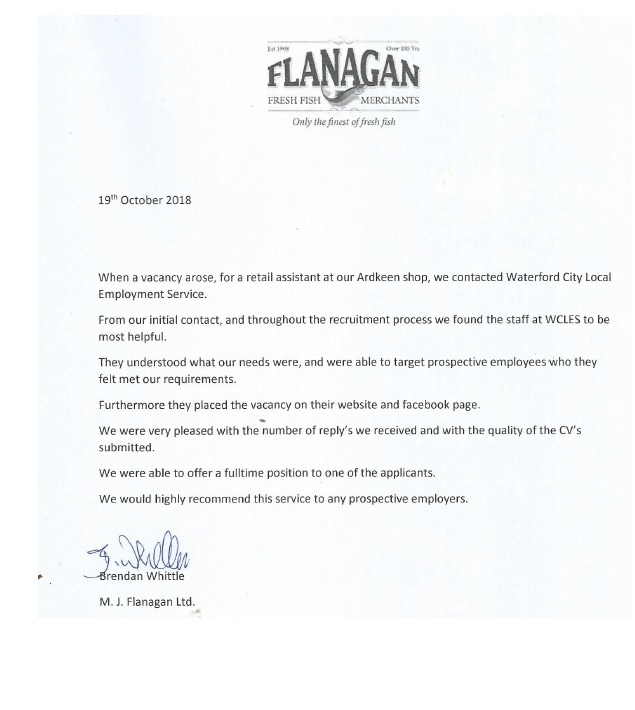 Flanagan’s Fish Merchants got in touch with us regarding a vacancy for a Counter Assistant. The position was advertised on the 20th September 2018 and attracted over 4,500 views on our Facebook Page. Flanagan’s were delighted with the response and the position was filled by the start of October. 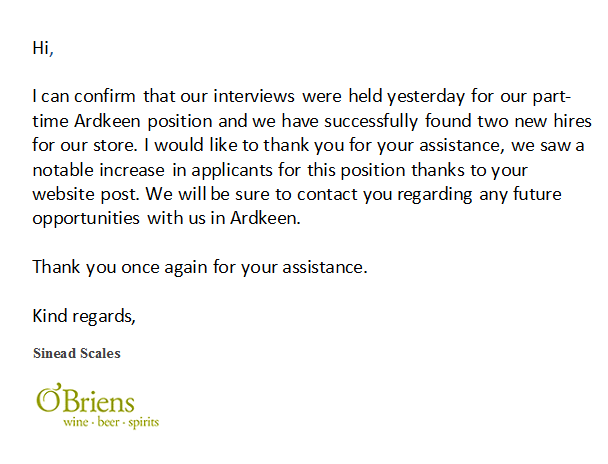 O’Briens Wines in Ardkeen Stores contacted us on the 16th August 2018 regarding a part-time sales assistant opportunity. We got a great response for this vacancy and the post was filled after interviews by the 28th August. Hi, if you are reading this you are WELCOME to our Website! Allow me to introduce myself – my name is Ger Walsh and I am the recently appointed manager of Waterford City Local Employment Service (WCLES) – located in Westgate Retail Park, Tramore Road, Waterford. We are a free, friendly and confidential service that is available to people in receipt of a Social Welfare Payment or signing for Credits. 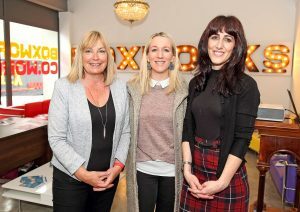 At a recent event organised by Waterford Micro Business Network, Dee Hutchinson inspirational coach and award winning leader presented a talk – The Secret to Achieving Your Goals – ARE YOU READY? This question started me thinking! It appears that the NUMBER 1 REASON FOR NOT GETTING THE RESULTS YOU WANT is… you are simply Not Ready. PHYSICAL READINESS – Getting a job takes time so don’t give up. FINANCIAL READINESS – Will it pay me to work? Check out: The Benefits of Working on the DEASP Website. This is a user friendly tool that gives you an instant comparison of the difference between your potential in-work and your current out-of-work payments based on information provided by you. MENTAL READINESS – This is the self-doubt we all have… Will I be good enough? Will I have the Skills / Knowledge / Experience? What if I’m found out! As they say, fake it till you make it or get the training you need. EMOTIONAL READINESS – The old Chestnuts… Fear of failure / rejection / success. Without risk there is NO REWARD. Go for IT!!!! Life has thought me to aim for the Stars and what harm if you stop off at the Moon. You are on that journey for the Job of your Dreams. Our qualified Employment Guidance Officers at WCLES are available to help and guide you to BE READY to find that Job, Training or Education that you always dreamed of. Soft skills are becoming increasingly important in today’s job market. Having the right technical skills for a job is no longer enough. Employers are looking for skills that can be transferred, skills that make people good team players, skills that help people to navigate the tricky world of human interaction. Those skills are what we call soft skills, a term that broadly covers the skills we need to interact with others effectively. Soft skills can make a huge difference to how people work together, how messages are communicated, how ideas are brought to life and ultimately how a business stays sustainable. Soft skills include things like communication, teamwork, problem solving, creativity, leadership, conflict resolution and self-confidence. 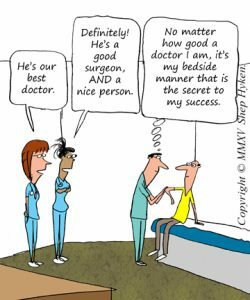 Soft skills are the X-factor that we need to take us from being technically competent to great at our jobs. Soft skills questions will come up in interview through the likes of open questions such as “Tell me about a time you had to deal with a difficult customer” or “Give me an example of a time you resolved a work conflict”. The secret to answering these questions is in understanding the soft skill being explored and being able to give a relevant example of your skills in action. National and International Education & Training policy is now focused on the development of transversal and soft skills from early in the education system re-affirming the importance of these skills into the future. 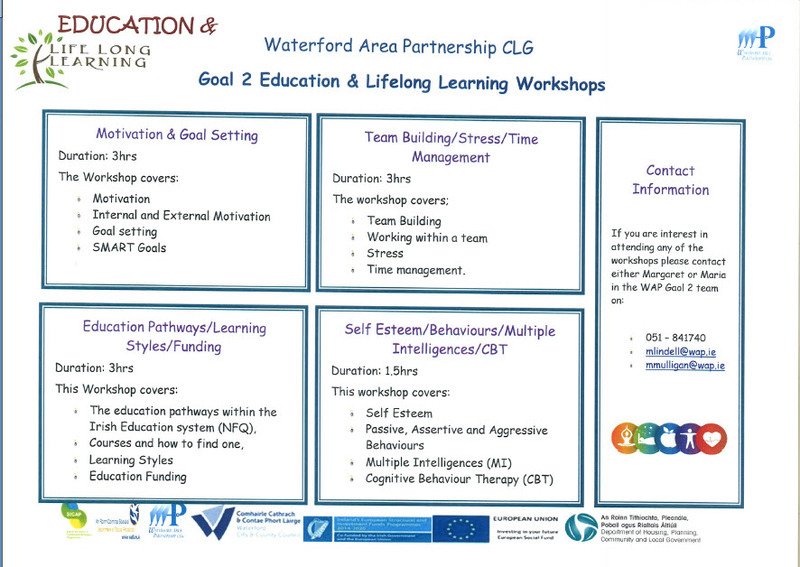 Bearing all this in mind, we were delighted to see our colleagues in Waterford Area Partnership have developed a suite of soft skills training programmes that they are running for FREE and are offering to all our clients. 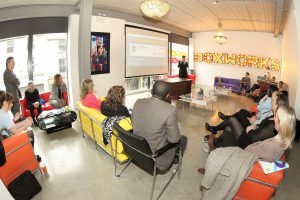 We launched our new website and online services in late April with a breakfast event at Boxworks Co-Work Space. 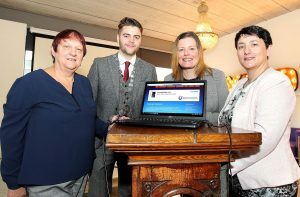 Cllr Adam Wyse, Mayor of Waterford City and County, officially launched the website and endorsed the importance of having a service that brings employers and jobseekers together. 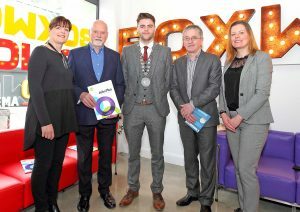 He expressed excitement at the change Waterford is experiencing with the launch of the Greenway and other future developments, emphasising the importance of building strong links between growing businesses and the local community. We demonstrated how easy, quick and simple the website is to use. You simply complete a very straight forward online form and your job gets added to our website and social media pages. We are growing our visits and interaction rates steadily and have had very positive feedback from employers who have used the service. As well as free job advertising, Waterford City LES can put forward candidates for jobs from our own client base. We know our clients very well and we only recommend applicants that we know will be a good fit for the job. Employers appreciate this element of our service.